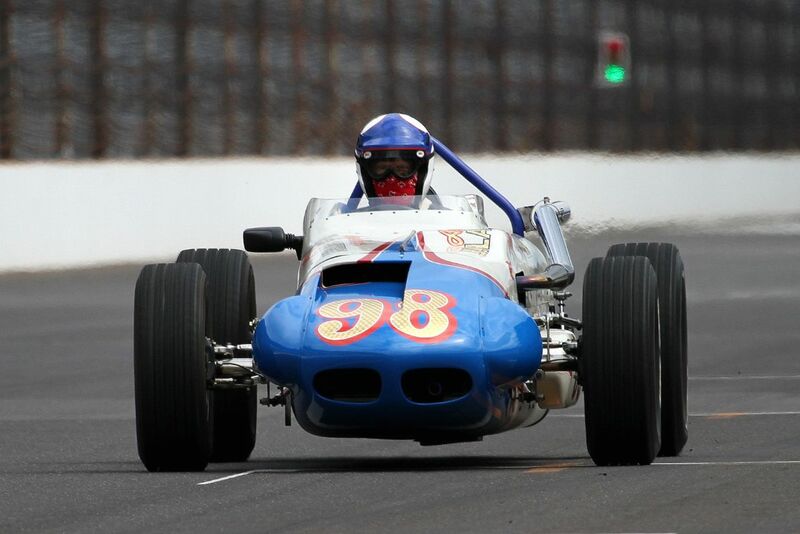 Over 700 cars showed up for the inaugural Sportscar Vintage Racing Association (SVRA) Brickyard Vintage Racing Invitational, staged June 5-8, 2014 at the Indianapolis Motor Speedway in Indiana. The cars, divided into 12 groups, raced on the newly redesigned 2.43 mile road course. There was also a group of oval only entries that ran on the storied 2.5 mile oval, where spectators were treated to an incredible array of historical cars from the 1909 American Locomotive ‘Black Beast’ through the Kurtis, Miller and Watson roadsters to the Lotus 56 Turbine car and Mark Donohue’s 1972 race-winning McLaren. The grin factor these cars generated was huge. All the SVRA racing groups were also given time on the oval, and this proved to be quite an experience for the drivers that tried it. A race unique to this gathering was the Indy Legends Charity Pro-Am, where 24 former Indy 500 drivers were partnered with Group Six drivers in a 45-minute race. 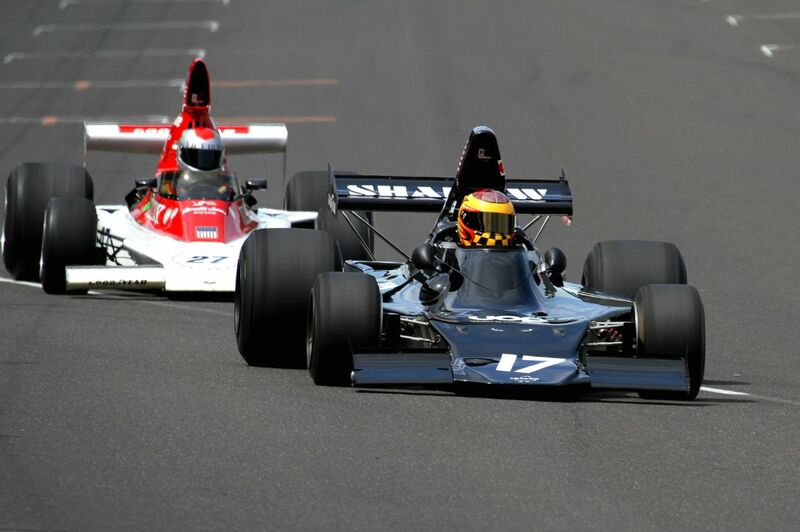 Among the Indy drivers were Al Unser Jr., Willy T. Ribbs, Buddy, Jaques and Bob Lazier, Scott Goodyear, Lyn St. James, Eliseo Salazar and Robby Unser. The race was won by Al Unser Jr. and Peter Klutt in 1969 Chevrolet Corvette. Two enduros were run at the 2014 SVRA Indy event, with Frank Beck in his 1972 Porsche 914/6 winning the Hawk Performance Vintage/Classic Enduro and Travis Engen’s 2005 Audi R8 LMP taking the checkers in the Hawk Historic GT/GTP Enduro. Grand Marshal Parnelli Jones was reunited with Offenhauser-powered Watson Roadster he drove to victory in the 1963 Indy 500, while Bobby Unser was reunited with the Penske he drove to win in 1981. 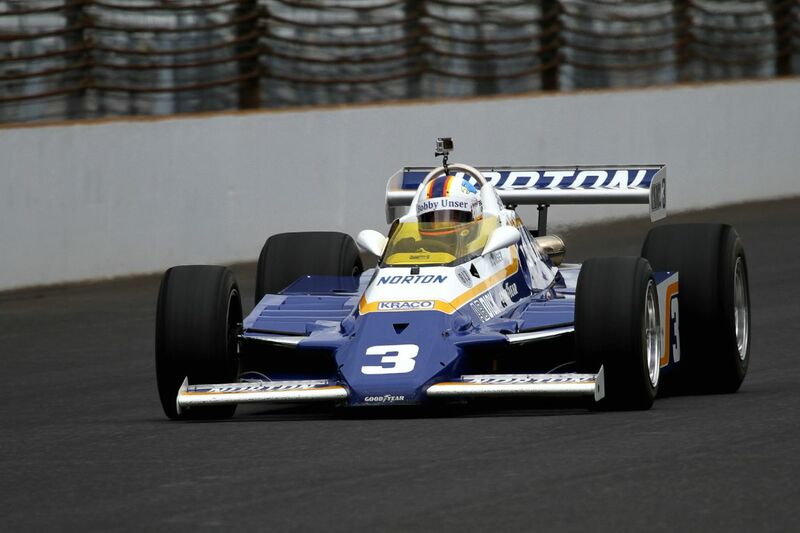 They were joined by Janet Guthrie, the first woman driver to race at Indy, Willy T. Ribbs, Al Unser Jr. and Robbie Unser for a symposium moderated by Donald Davidson. If all of this isn’t wasn’t enough to make this a special event, there was the museum in the Indianapolis Motor Speedway that should be on every racing enthusiasts must-see list. On display were many of the Indy 500 race winners including the 1911 Marmon Wasp that won the inaugural 500 mile race. Other treats were the Ferrari 250 LM that won the 1965 24 Hours of Le Mans, a 1955 Mercedes-Benz W196 and all the turbine cars that have participated in the race. Still not enough? Grand Funk Railroad provided the music for the Saturday evening social event. 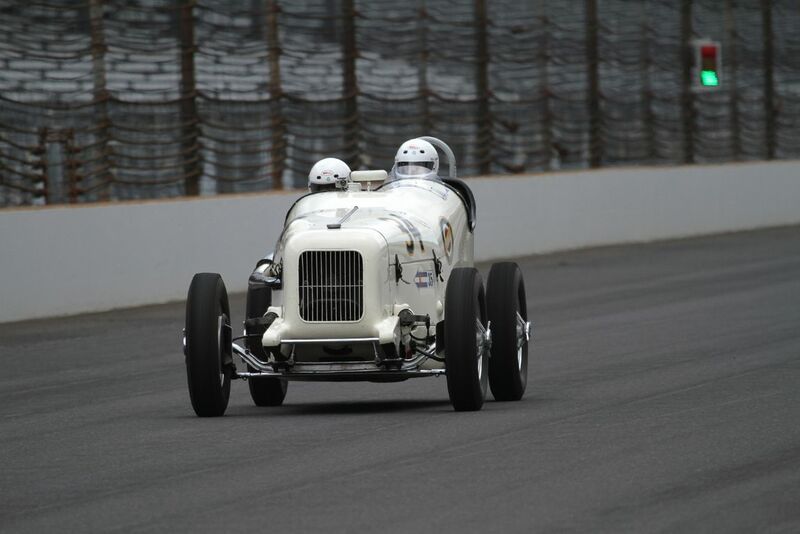 It is no surprise that this Brickyard Vintage Racing Invitational was a memorable one for the SVRA members. What was a bit of a surprise is how impressed the Indianapolis Motor Speedway people were with the entries. They too were seen with grins on their faces. Congratulations to SVRA President Tony Parella and his hard-working staff for putting on a most successful and memorable event. 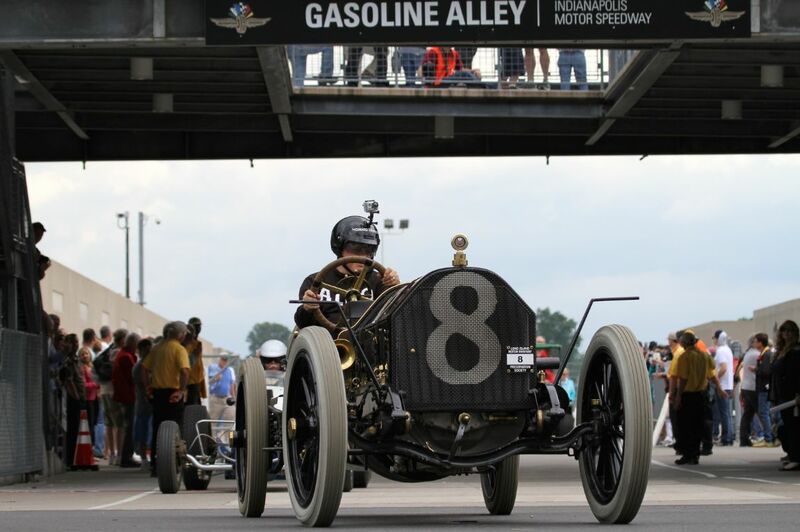 In addition to Michael DiPleco’s photo gallery, photographer David Ferguson also documented the 2014 SVRA Indy Brickyard Invitational, offering the following picture gallery that highlight the varied entrants and charm of the Speedway. We split up David’s 250 pictures into two galleries. The first gallery starting below features our favorite images, all displayed in the full-width view of Sports Car Digest, while the second gallery can be found on the last page of the article and gives a comprehensive view of all the photographs. 1909 American Locomotive coming out of Gasoline Alley. Doesn’t it look like Tom Fraelich (79 March Super Vee) is clapping? 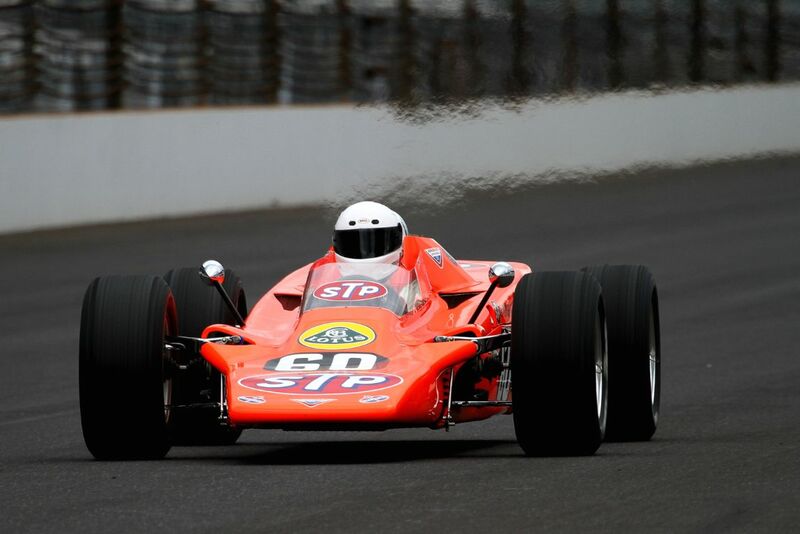 Bruce Linsmeyer, 68 Lotus 56 Turbine Indy Car. Robert Dicks in the 63 Watson Tribute Car. Note the scarf covering his mouth. 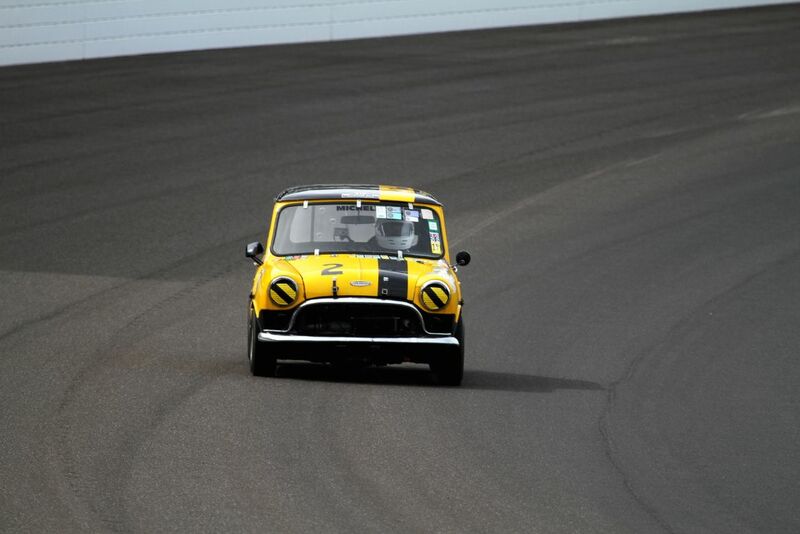 A mini racing at Indy. Ever think you’d see that? Thank you Dennis. It was an amazing event with awesome cars. I feel fortunate that I was able to cover it. 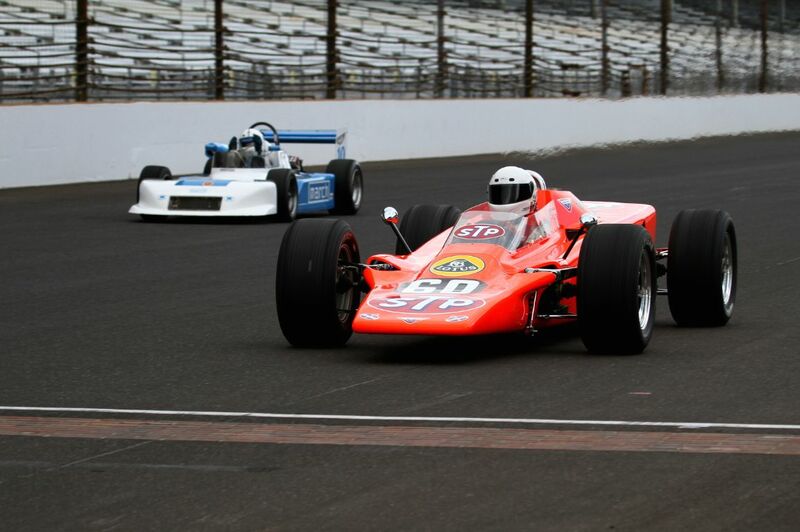 Hi, I was driving at the SVRA Brickyard event last week. May I copy and print out your pictures of my Daimler for my own personal pictures ? It says I need ask permission. Thank you for asking, David. You can copy the image of your Daimler for your personal use. If you are interested in purchasing higher resolution files or see the other images I have of your car at the brickyard, e-mail me at dcferg@bellsouth.net. Any photos pf my 62 Spitfire from Group 1? Robert, I found a few. Email me at dcferg@bellsouth.net if you are interested in purchasing any. American Locomotive auto name?????? R you sure it wasn’t a Locomobile???? Dave is a retired school teacher. He was born and raised in Lima, Peru, and is a graduate of the University of Florida. Dave was born with a passion for cars that has never wavered. He has crewed for racing teams and worked for IMSA in the late 1970's. He has been married for 33 years and has one daughter. Dave has lived in Florida, Connecticut, California and currently resides in Atlanta, Georgia. He can be reached at dcferg@bellsouth.net.